I've been writing for so long, I have three old hard-drives containing hundreds of documents I've started and some I've finished. Most of my old stuff, I can't get access to, unless I pay someone for data-recovery. All my backups are missing or outdated. But even in with the collections I have on my current computer systems and thumb-drives (thank heavens for the invention of the thumb-drive! ), there are so many I can barely keep count. As a writer, I am rather undisciplined. I tend to start writing without even the slightest idea of where I'm going with the story; where many other authors won't even start writing until they've got a complete outline and character descriptions for every character in the book. So I have folders... one called 'False Starts' where stories I've started of 20-30 pages or less are categorized into this folder. There are trends; story starts that are similar to other starts that begin to move in different directions. I read through them fairly often, hoping to pick one up and move it into the 'Potentials' folder. Potentials are books that are at least 50,000 words or more that I've somehow become annoyed with or stuck on. Some even have a jumble of notes typed after the last completed paragraph describing where I want those stories to go and outlining what needs to be written. Sometimes I follow those outlines, sometimes the story evolves into something else. It's just my process. There are the completed books, they get their own folders. Most of the completed works I have are very old and quite bad; so I keep them, but they don't go anywhere. There are also the things that are in the "Shorts or other Crap' folder; where my short stories and such are stored. Every once in a while, I'll dip into my Potentials folder and start playing with one of the half-finished books. Or I'll read one I started and suddenly find my muse and just start writing it. 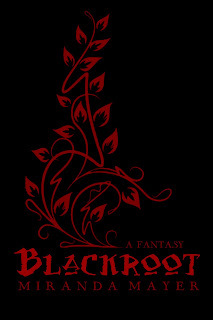 'Blackroot' is one of such books. However, the downside to this book is that many of the themes and ideas from Tinna's Promise actually were derived from this 'Potential'. 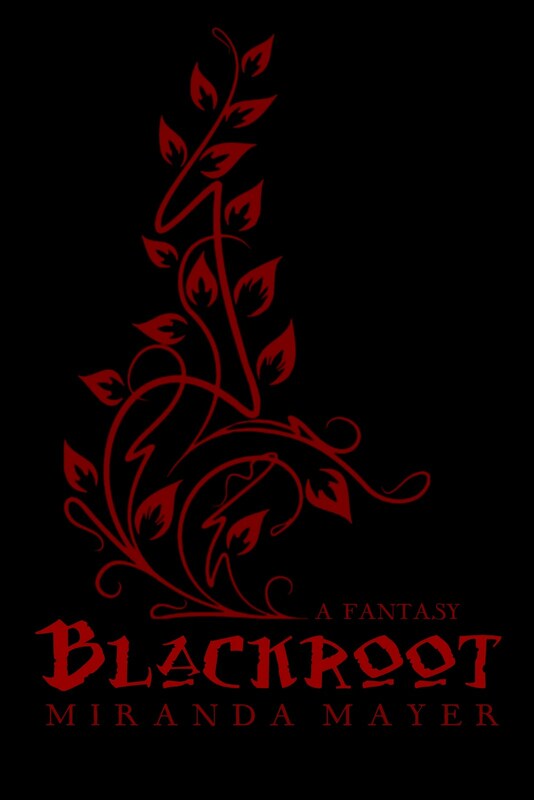 Blackroot is older than Tinna's Promise by a few years and I drew a lot of stuff out of it. Abandoned child, the character physical likenesses (many of them tend to look like a gypsy girl I once knew when I was young). I can tell just by the grammatical errors how far back my books go. There's a definite improvement in my writing skills with each passing year and with each new interaction with an editor. Blackroot is disturbingly dark. I sometimes wonder where the hell this stuff comes from, honestly, and sort of makes me wonder what is going on in my own head. It's a dark fantasy; a mystery fantasy and a pretty gritty one at that. It's a story of darkness and redemption where there should be no redemption. It's violent, it's graphic, and there are some pretty descriptive adult 'themes' going on in there. 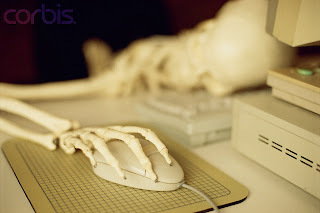 E-book formatting is for the birds. What have I been up to lately? Not much except struggling with the perils of e-book formatting. O... M... G... Seriously; what a nightmare. I have put Tinna’s Promise up on B&N’s NookBooks and Smashwords, I downloaded it to my nook and there are STILL formatting errors. The worst are the line-breaks problem. I spent an entire weekend recently reformatting a pasted .pdf of the final manuscript for Tinna’s Promise. I had to go from the back of the book to the front, reintegrating every line of every single paragraph of the novel because the PDF paste had obviously kept each individual line’s hard break when I moved it to word. Of course, had I used an iota of the intelligence that my daddy gave me, I would have thought to save my final manuscript that I sent the publisher into a folder somewhere where I could bloody find it. Then I would have had the original .rtf with all its soft line-breaks in all their glory. But I did not find it anywhere, and so I had to use the final version of the book in .pdf format as the framework for the ebook to insure I had all the right chapters and such. Naturally, when re-formatting over 120,000 words of text, you’re bound to overlook a line break here and there (sometimes they hide), and you are also bound to accidentally delete spaces between words while doing it so you get the occasional mergedword. It’s really irritating. I also noticed that one book section had been merged into the paragraph of the prior section, making a hideous jump in the story in the same freaking paragraph. To discover this was really defeating. After I’d already re-uploaded it twice. What I’m going to do this weekend is to try to re-read the damned book page by page on my e-reader, and follow along on my laptop, making changes as I go. I am *then* going to go and get my dog-eared, personal copy of Tinna’s Promise (with the old cover and cracked spine) and make sure that each paragraph matches the hard-copy version for the ebook. When I do that, I will upload that ONE FINAL TIME to both PubIt! and to Smashwords. Of course that means it will take THREE more days for the modified copy to become available to buyers on PubIt, and put it back into Submission-Pending mode for the Smashwords general distribution catalog, which is another week. Oh, and the really irritating part? Smashwords doesn’t let you overwrite your old, error-riddled versions, no. They keep every single freakin’ version you resubmit. Right now... I have FOUR versions; all in varying states of errorsville. It’s really embarrassing. They should take those down. Argh. What I *should* have done was view my formatting and let the little dots and ¶ markers would help me track down the problems. But I didn’t use this wad of grey matter in my cranium I guess, and I just derp-de-derped my way through it while watching my DVRed shows from that week. Now I’m paying the price! Anyway, on the brighter side, look what my hubby gave me for an early Valentine’s Day present? Squee! I’m sorry, I’m revealing the depth of my geekery here, but I am and have always been, since the late eighties, a track-ball kinda girl. Both my dad and I are (and were in his case) geeks that way. I’ve always had them, for a long time, until my last Logitech died after years of abuse. Now, instead of a normal computer, I have this tiny little netbook that I use to write with (in addition to obsessive internet browsing and Stumbleupon benders). I hate track-pads so I just turned it off and got a wireless mouse that had this thick jump-drive sized USB connector on it, and it was always sticking out the side of my little 9” screen netpad and annoying me. 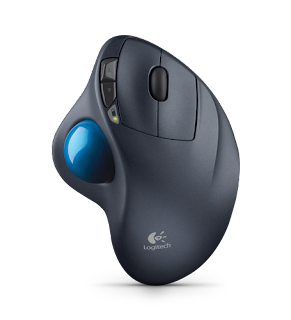 I am cheap though, at least when it comes to spending money on myself, so I didn’t want to drop almost $60 on a trackball. So instead, I just complained incessantly to the ether (but always when my husband was within hearing range) that I wanted a trackball again—a wireless one, so I can just put it down anywhere I want, on my thigh, on the sofa, wherever, and that I want the thumb kind, not the one with the ball in the middle, and I wanted a Logitech with the itty bitty USB thingie (it’s teeny-like; Pez-size when plugged in) so there’s no thumb-sized protrusion poking out of the side of my little computer. I must have whined enough, because hubby heard. I came home the night before last, and was doing something on my little baby computer, and started mumbling about hating my stupid wireless mouse and its behemoth USB connector, and he got up, went into the guest-room and then came out with an Amazon.com-blue-gift-wrapped package, which he hucked at me and said: “Fine... I’ll get you ANOTHER Valentine’s present... just take this already...” Yeah... Happy girl now. Silly things make me happy, I’m such a gadget whore—that’s from my dad’s genes, he was such a tinkery, geeky gadget guy too. So at least now I have something smooth and comfy to help me through this formatting nightmare. Yay! Oh, and BTW.. I’m at *least* 50% through Tinna’s Reign. It’s turning out VERY dark... and there’s a scene in there that’s so dark, so raw, I’m almost afraid to keep it. It’s also very soon in the book; so it might be really jarring to some of the more sensitive readers. I dunno. ::groan:: I will keep writing, and then when I am ready to revise and proofread before editing, I’ll make my choice. 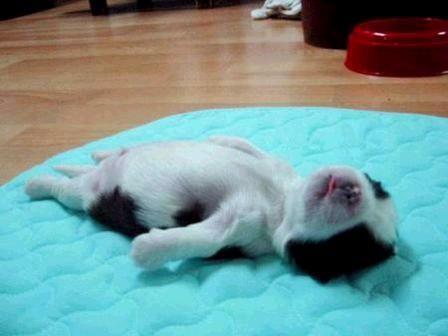 Here is a picture of a passed out puppy. Just because. Independent writers... hear me out. It is no reflection on your creativity or your talent if you require the services of an editor. A real editor. An experienced, professional editor. 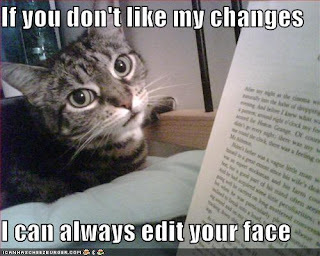 It really doesn’t mean you can’t write, it should be a matter of pride, it should be a moral obligation to have someone proofread and edit your manuscript before you go out and have that baby published. Period. I’ve been reading a lot of indie work lately because it’s really cheap for my nook... and the thing that stands out most with these self-published authors is that they are not disciplined enough to keep from publishing their work when it obviously isn’t ready. PubIt! and Kindle authors especially—they seem apt to slap anything up there and call it finished, and that is a total no-no. “The women laughed as they walked back into the house. When inside, Lizzie sits down at the bay window and gazes out thoughtfully...” GAH!!! This writer also writes dialogue like it’s written for Robbie the Robot; “I am glad you share my beliefs. This is an omen. We should go to Egypt. In my dream it was raining. It doesn’t rain in Egypt.” Who speaks like that? The writing is as dry as the desert the author is writing about and I couldn’t get past page 16. In the span of the FIRST TWO paragraphs, I was told three times that the space was an ‘expanse’. STOP OVERWRITING! Edit yourselves! I haven’t gotten through 2% of the story and I’m already bored. I know I’m guilty of the repeated word or phrase. For instance, count how many instances of the word ‘albeit’ appear in Tinna’s Promise... I’m so annoyed I didn’t notice it until after editing. Editors are not the cure-all, but they can take something that’s over-thought and simplify it... they can take ideas that are not consistent and make them flow... they can make conversations interesting, they can make reading the text an easy, simple task and keep the reader’s eye from being held up by stupid errors. Yes, my short stories are full of errors, yes my posts are full of errors, but I'm not asking anyone to pay for what I'm posting up here. If you are taking money for your work... G.E.T. A.N. E.D.I.T.O.R or DO NOT PUBLISH! Please. Damn. I want my $2.99 back!